En route Delhi, I spot an Airbus A320 and a Boeing 747-400 together! 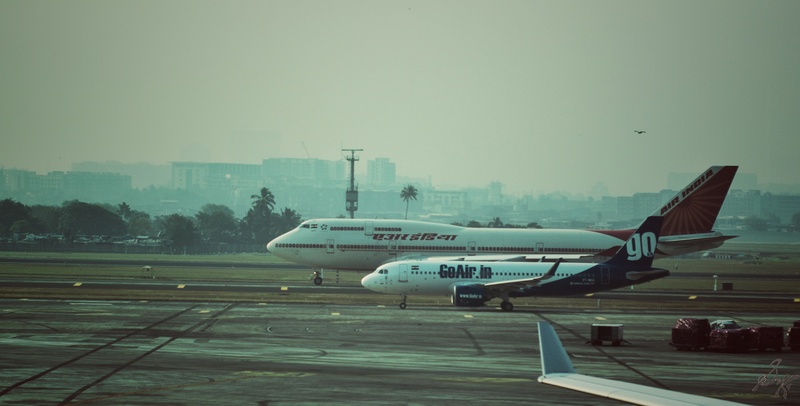 The difference in the sizes of the aeroplanes and also the companies that run them is quite evident. Previous Post Bokehs and Starbursts!